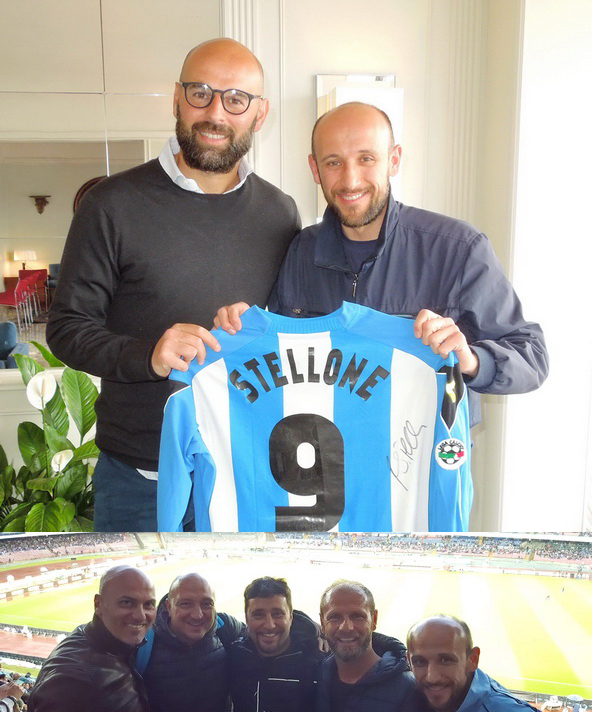 14/05/2016 - CON ROBERTO STELLONE PRIMA DI NAPOLI vs FROSINONE, IN PIZZERIA CON LUCA ALTOMARE E NICOLA MORA E POI AL SAN PAOLO SEMPRE CON ALTOMARE E CON GENNARO SCARLATO, PIACEVOLE INCONTRO CON ALESSANDRO BOLIDE COMICO NAPOLETANO DI MADE IN SUD. 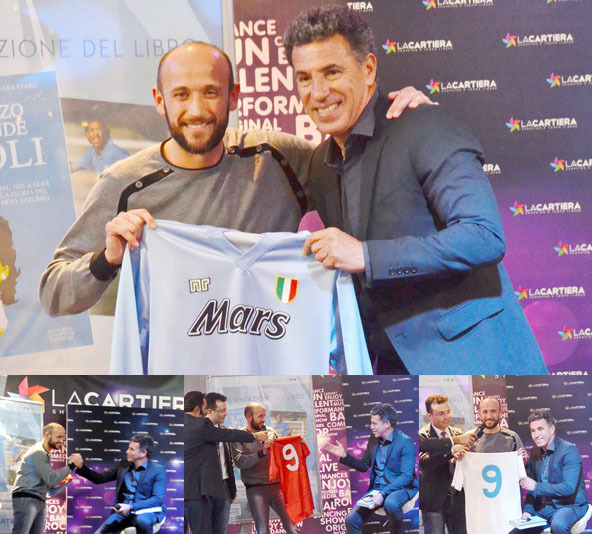 09/05/2016 - INCONTRO CON L'EX DIFENSORE AZZURRO CIRO FERRARA, CON I FRATELLI CANNAVARO E CON ARMANDO IZZO, ALL' EVENTO DI BENEFICENZA DELLA FONDAZIONE FERRARA CANNAVARO PER L'ARCI SCAMPIA (NA). 02/05/2016 - CON L' EX PORTIERE AZZURR RAFFAELE DI FUSCO. 03/04/2016 - CON GLI EX AZZURRI FRANCESCO MORIERO E ANDREA RUSSOTTO. 20/03/2016 - INCONTRO CON GLI EX AZZURRI GORAN PANDEV E BLERIM DZEMAIL PRIMA DI NAPOLI vs GENOA. 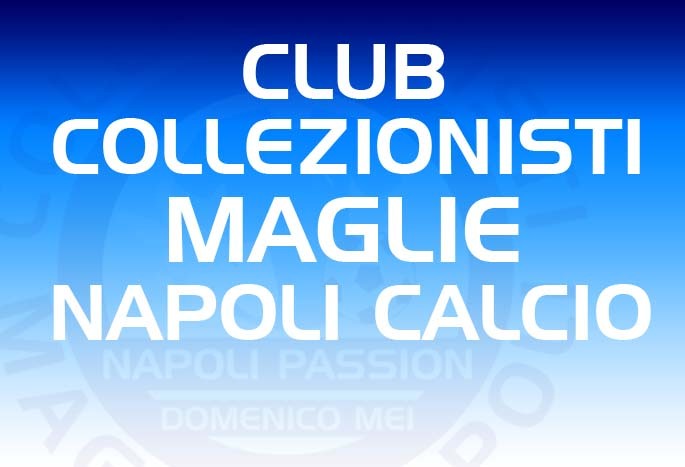 05/03/2016 - CON I CALCIATORI AZZURRI NEGLI SPOGLIATOI DEL SAN PAOLO DOPO NAPOLI vs CHIEVO VERONA= 3-1 (Higuain, Chiriches, Callejon) PER LA 28^ GIORNATA DI CAMPIONATO. 05/03/2016 - INCONTRO CON L'EX DIFENSORE AZZURRO ALBERTO SAVINO (NA). 02/03/2016 - INCONTRO CON L'EX BOMBER AZZURRO ALFREDO AGLIETTI. 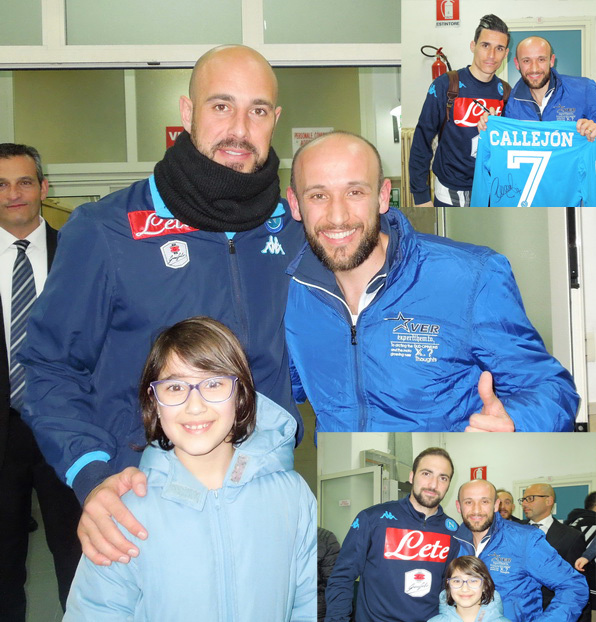 10/02/2016 - INCONTRO A CASTELVOLTURNO CON I CALCIATORI AZZURRI DOPO GLI ALLENAMENTI. 03/02/2016 - CON IVANO TROTTA PRESSO IL CENTRO SPORTIVO DI CASALPALOCCO (RM). 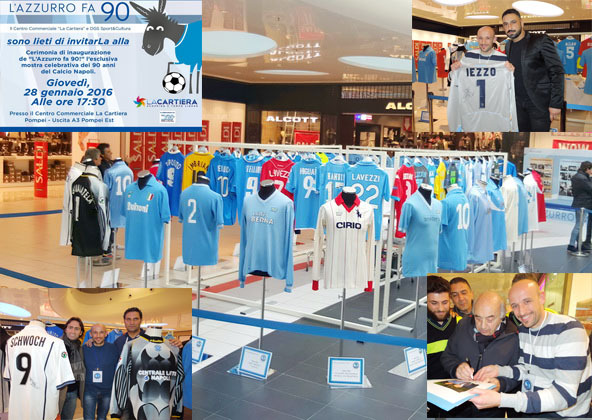 28-29/01/2016 - MOSTRA MAGLIE NAPOLI PRESSO IL CENTRO COMMERCIALE "LA CARTIRE" DI POMPEI (NA) IN OCCASIONE DEI 90 ANNI DEL CALCIO NAPOLI. 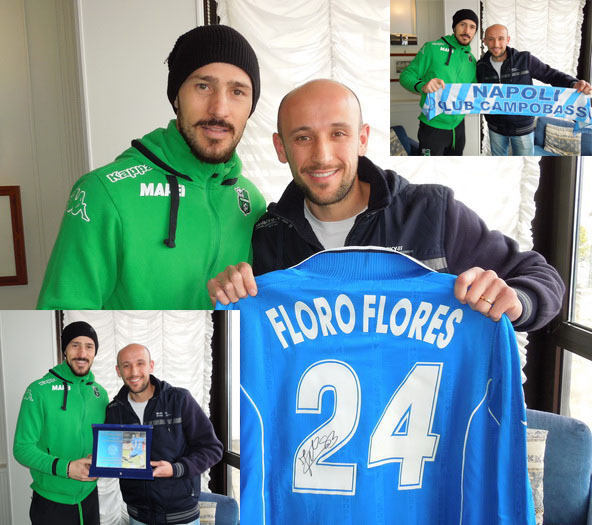 16/01/2016 - INCONTRO CON L'EX ATTACCANTE AZZURRO ATONIO FLORO FLORS. 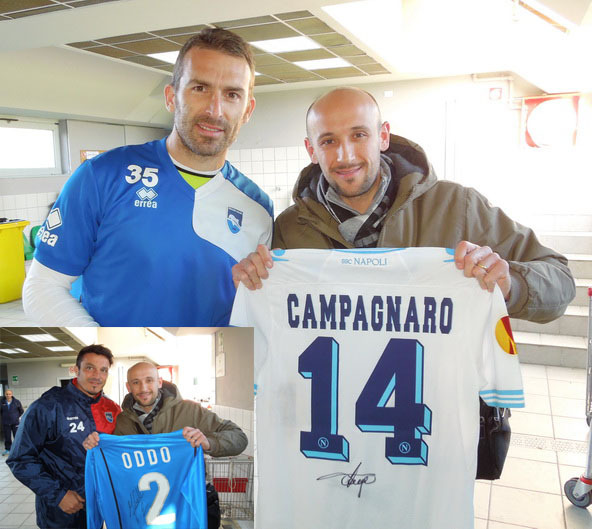 13/01/2016 - INCONTRO CON GLI EX AZZURRI MASSIMO ODDO ED UGO CAMPAGNARO. 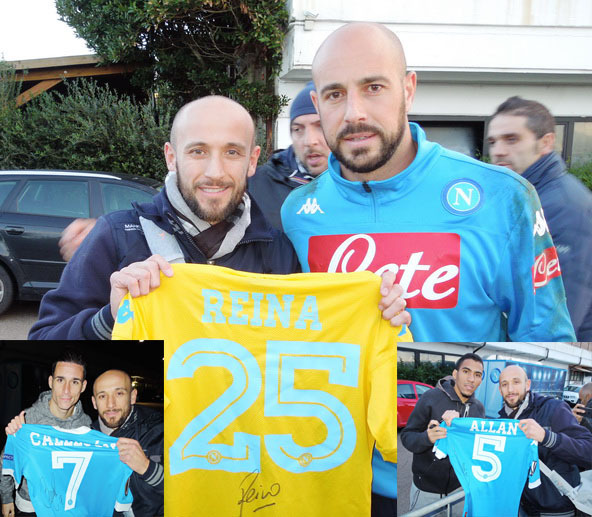 15/12/2015 - LUNA MASCOTTE CON PEPE REINA PER NAPOLI vs VERONA TIM CUP. 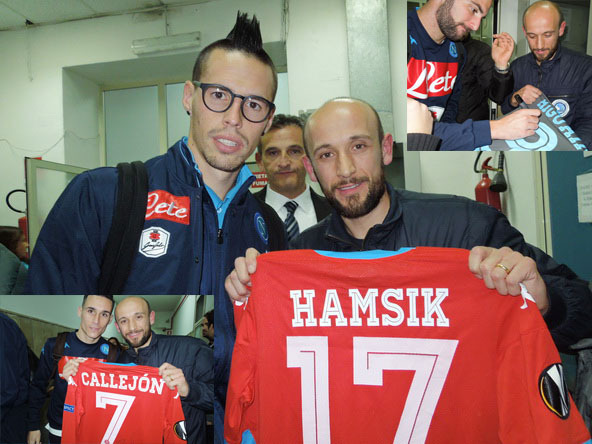 11/12/2015 - HOTEL VESUVIO NAPOLI - ALLA FESTA DI NATALE CON LE FAMIGLIE DEI CALCIATORI DEL NAPOLI. 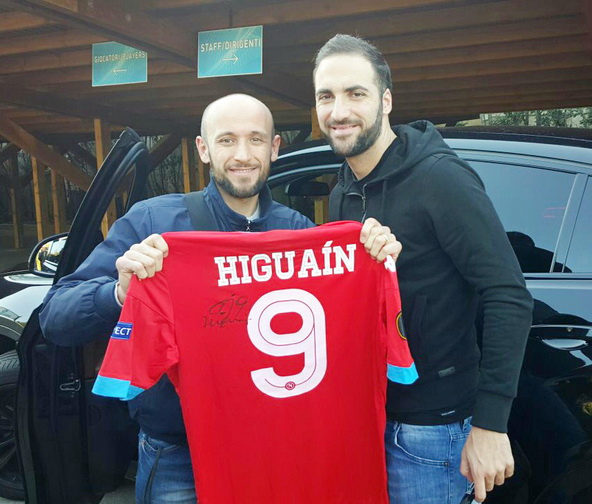 11/12/2015 - CON GONZALO HIGUAIN ED ALTRI AZZURRI A CASTELVOLTURNO DOPO GLI ALLENAMENTI. 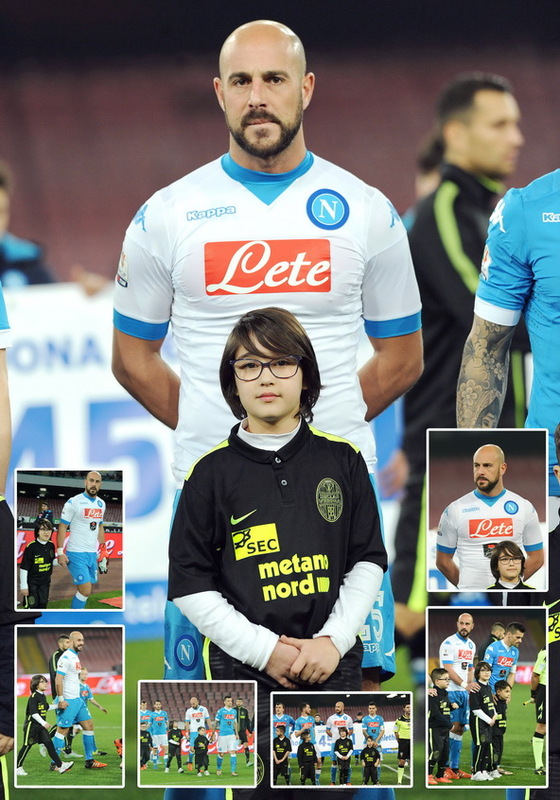 30/11/2015 - CON I CALCIATORI AZZURRI NEGLI SPOGLIATOI DEL SAN PAOLO DOPO NAPOLI vs INTER= 2-1 (Higuain, Higuain) 14^ GIORNATA DI CAMPIONATO. 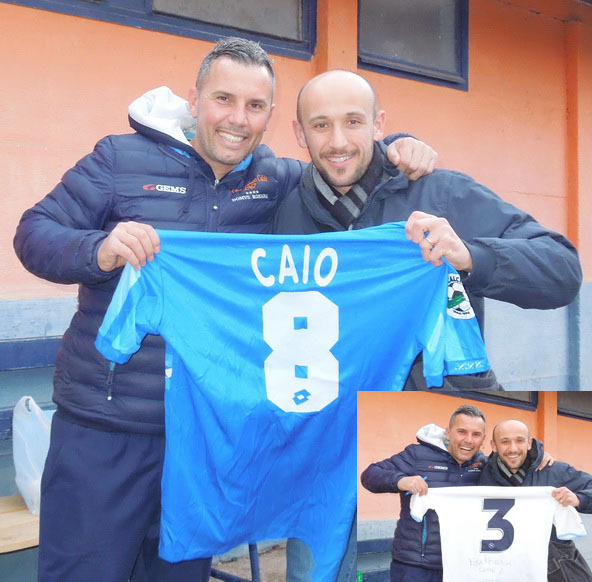 24/11/2015 - INCONTRO A CASTELVOLTURNO CON I CALCIATORI AZZURRI DOPO GLI ALLENAMENTI. 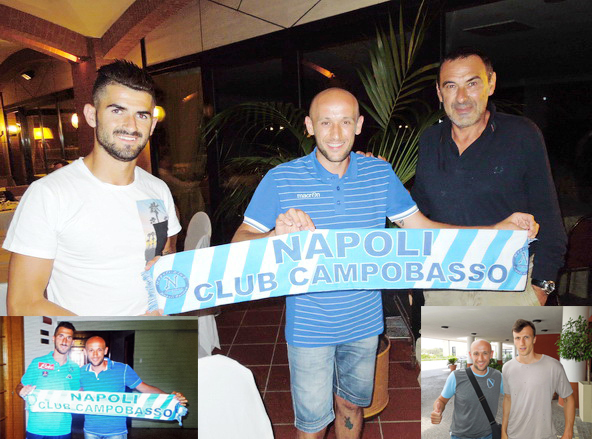 07/11/2015 - CON L'EX DIFENSORE AZZURRO MASSIMO RUSSO A NAPOLI. 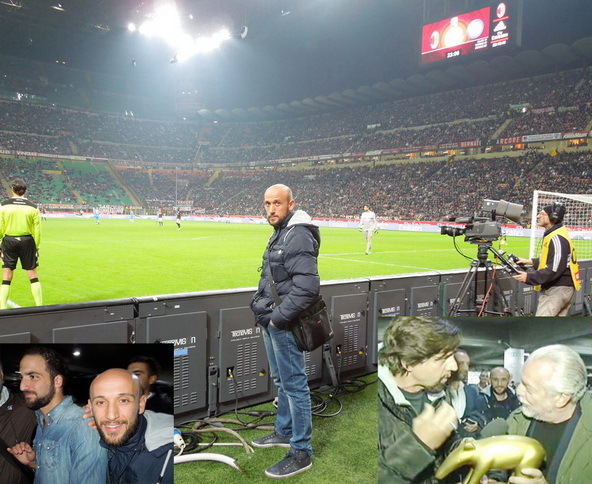 04/10/2015 - AL MEAZZA DI SAN SIRO MILANO PER MILAN vs NAPOLI= 0-4 (Allan Insigne, Insigne; autorete Ely), NEGLI SPOGLIATOI CON GLI AZZURRI E CON I CALCIATORI DEL MILAN, A STRISCIA LA NOTIZIA CON DE LAURENTIS E LA CONSEGNA DEL TAPIRO D'ORO. 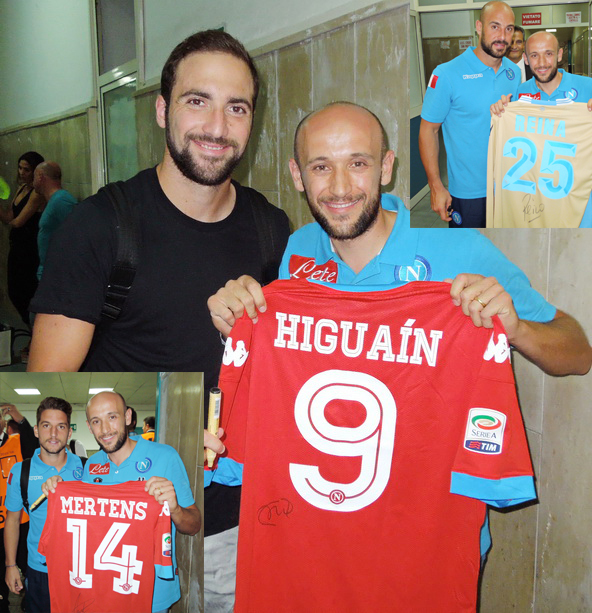 26/09/2015 - CON GAETANO FONTANA AL SAN PAOLO PER NAPOLI vs JUVENTUS= 2-1 (Insigne, Higuain), 6^ GIORNATA DI CAMPIONATO. 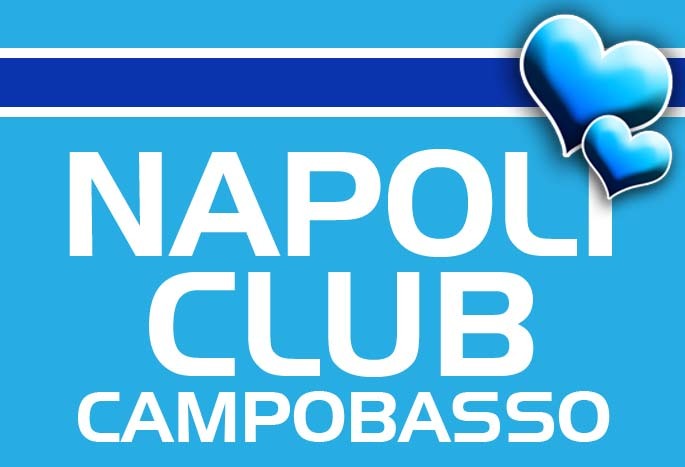 17/09/2015 - CON I CALCIATORI AZZURRI NEGLI SPOGLIATOI DEL SAN PAOLO DOPO NAPOLI vs BRUGGE= 5-0 D'EUROPA LEAGUE. 30/08/2015 - (NAPOLI) INCONTRO CON L'EX ATTACCANTE AZZURRO 1997%2001 CLAUDIO BELLUCCI. 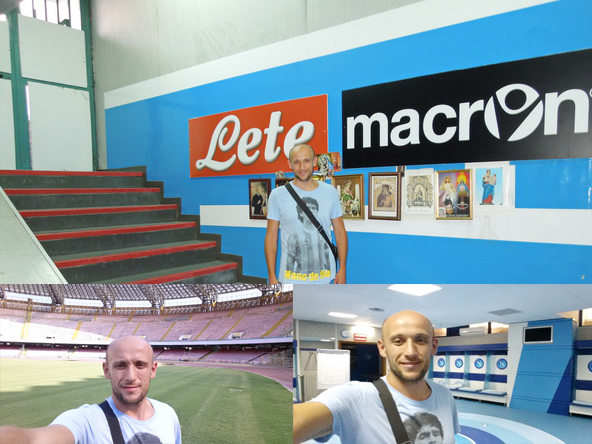 22/08/2015 - (NAPOLI) INCONTRO CON L'EX CENTROCAMPISTA AZZURRO 2004%2006 IVANO TROTTA . 31/07-01/08/2015 - AL MARINA DI CASTELLO RESORT DI CASTELVOLTURNO (CE) PRESSO IL CENTRO SPORTIVO DEL NAPOLI CON GLI AZZURRI. 21/07/2015 - AL SAN PAOLO, NEGLI SPOGLIATOI E SUL TERRENO DI GIOCO. 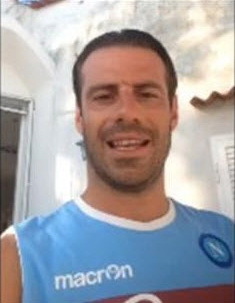 15/07/2015 - IL VIDEO DI SALUTI DELLL'EX ATTACCANTE DEL NAPOLI EMANUELE CALAIO' AL SOTTOSCRITTO E A TUTTI I SOCI DEL NAPOLI CLUB "NAPOLIPASSION" CAMPOBASSO.